We are pleased to partner with MedImmune, a leading biotech company with strong connections to the local biomedical community. BETHESDA, MARYLAND, December 22, 2015 –The Center for Advancing Innovation (CAI) today announced a partnership with MedImmune, the global biologics research and development arm of AstraZeneca, for the Nanotechnology Startup Challenge in Cancer (NSC2), an initiative created to strengthen the Virginia, Maryland and Washington D.C. regional biomedical ecosystem and spur economic growth. Launched in October 2015, NSC2 is the third in a series of startup challenges led by CAI and the National Cancer Institute’s Technology Transfer Center. 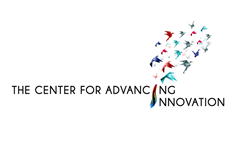 The NSC2 program will leverage CAI’s award-winning challenge accelerator model in order to launch new startups based on commercially viable, capital efficient inventions that utilize nanotechnology that can be applied in the cancer field. During the first stage of the program, CAI will crowdsource multi-disciplinary teams who will select a promising invention in the areas of therapeutics, diagnostics, prognostics and medical devices. These inventions are expected to come from the National Institutes of Health (NIH) intramural and extramural research communities. The teams will then write business plans exploring the market potential of the technologies and proposed path to commercialization. The teams will submit their business plans and perform a live pitch to a world-class panel of judges, advisors and mentors. Winners will be selected based on the quality of their elevator speech, business plan, financial model, live pitch and other deliverables. The winning teams will receive a cash prize and will be encouraged to take their program forward to pursue licensing and/or collaboration agreements with the ultimate goal of creating a startup company. Rosemarie Truman, founder and CEO of CAI said, “My firm created a robust benchmark of the Nation’s Capital region versus peers and found that, while the region has unprecedented biomedical resources such as the NIH, to capitalize on these, it is critical to galvanize and amplify diverse capabilities to ignite the entrepreneurial spirit using novel paradigms and platforms. We are pleased to partner with MedImmune, a leading biotech company with strong connections to the local biomedical community. We believe that the proven, prestigious accelerator model that we are putting into place for the NSC2 will produce ‘gazelle companies,’ a term associated with high-growth, high-impact startups." Interested parties should start forming their teams now. Teams are already forming and may select inventions and enter their teams in the challenge until February 11, 2016. For updates on the NSC2 challenge launch, please sign up here and follow Twitter @CAIStartups.